Gently refresh your complexion with the Micellar Solution Cleanser from La Roche-Posay. 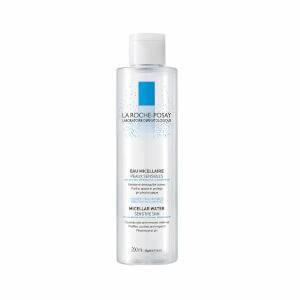 Enriched with the brand's soothing Thermal Spring Water, its delicate formula eliminates dirt, make-up and impurities from the face, eyes and lips, without over-drying or uncomfortable tightness. Leaves sensitive skin clear, calm and velvety soft. E.N. Soap, paraben, alcohol and colourant free.